After years of watching downtown Columbia’s revival, West Columbia is beginning to see shops move to its side of the Congaree River. The success of restaurants inside the “West Vista” around State and Meeting streets has been vital in attracting those new businesses. 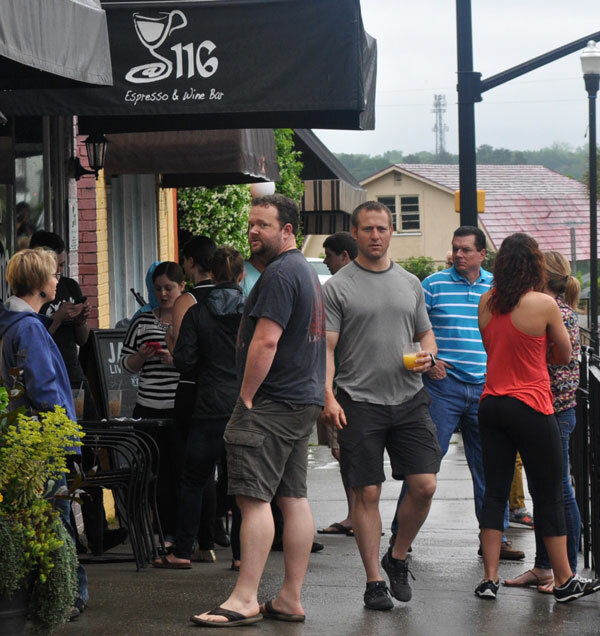 After watching businesses flow toward Columbia’s Vista and Five Points, West Columbia is starting to see other shops join the cluster of restaurants in the “West Vista” around State and Meeting streets. Restaurants Cafe Strudel and Al’s Upstairs led the way, joining the longtime stalwart of State Street, New Brookland Tavern, a popular live-music bar. Then Terra restaurant and 116 Espresso & Wine Bar followed. Now, newer businesses like Gallery West and eyewear store Frame of Mind have taken over some of the spaces. The area has had its failures too, such as restaurants Tea and Red Door Tavern. But Cafe Strudel owner Trip Turbyfill said the goal was always to bring more people to the area, not just to his almost 20-year-old restaurant. 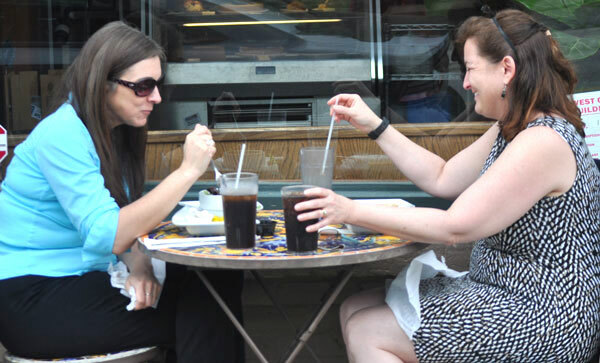 Kim Atkinson, left, and Lisa Kerns, enjoy their lunch break at Cafe Strudel. The restaurant has expanded twice but never left the West Vista. Frame of Mind owner Mark Plessinger moved from Columbia’s Main Street when the building his shop was in was put up for sale. He said the West Vista’s cost and space availability were important, but also important was people saying the area was blossoming. But for the West Vista to gain foot traffic similar to that of Columbia’s Vista, West Columbia must find ways to get even more businesses into the area, said Jerry Mitchell, a University of South Carolina geography professor who specializes in tourism. Sara Cogswell opened her business, Gallery West, inside the West Vista last June. She says without the restaurants, she would have never opened in the area. What the city does with “the pit,” the 4-acre lot along Meeting Street that greets those coming over the Gervais Street bridge, could be key to the West Vista’s future. 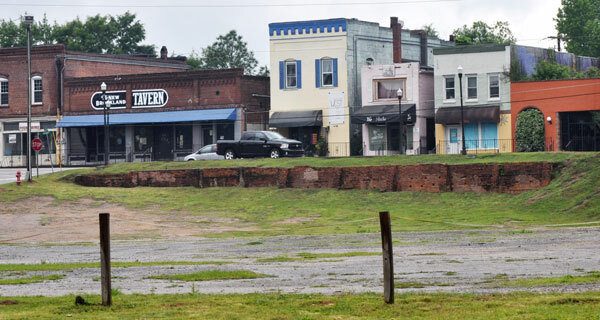 Various development plans have fallen through, partly victims of the Great Recession, but the city now is moving to sell the lot to Estate Properties, which has had several other successes in the Midlands. Details of what is anticipated as a mixed use of residential, retail and office space are expected by the end of the year, Smith said. Mitch Terry, who lives on Sortwell Street, said West Vista residents would shop locally, if the shops were there. The West Vista needs improvements so more businesses will come now that apartment complexes are rising around the area, he said. This 2013 Columbia Voice story on “the pit” reflects the long process West Vista restaurant owners have waited through for the land to be developed. This Google map shows the four key West Vista restaurants that are helping more businesses come to the area. View historical photos from the S.C. Department of Archives and History of some of the buildings in the New Brookland Tavern District, what many call the West Vista. redevelopment plan (PDF) said it was important to improve the area, and about $1.2 million has been spent on better sidewalks, new lighting and new traffic signals, much of it from grants. The rest, about $172,000, came from the city. Leo Redmond, director of neighboring Cayce’s historical museum, said the West Vista’s commercial buildings from the late 19th and early 20th centuries evoke that neighborhood feel some business owners want. “It’s just a feeling you don’t have except in a small town,” Redmond said. 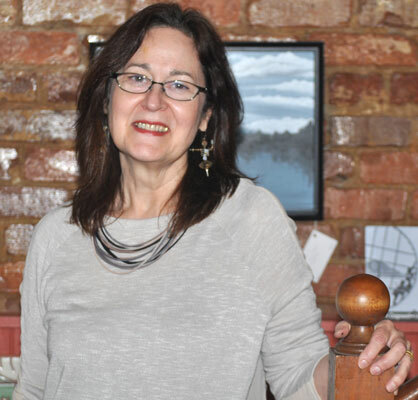 The neighborhood appeal was important to Turbyfill, a Cayce native. Cafe Strudel’s success led Turbyfill to expand his restaurant to larger buildings twice, but always in the West Vista. “I know this area well and just really like the old buildings and neighborhood feel and all, and that’s why we wanted to stay here,” Turbyfill said. About a decade passed before Terra opened, and 116 Espresso & Wine Bar joined the West Vista a few years later. Al’s Upstairs is the old-timer. The Italian restaurant with spectacular views of Columbia’s skyline at sunset has been wedged into a tiny triangle of land for 36 years at Meeting Street and Sunset Boulevard. Owner Al Loftis, who also grew up around the area, said he enjoys the friendly competition because ultimately the restaurants all help each other. Hear Sara Cogswell, owner of Gallery West, explain how important the restaurants were in her decision to open her business in the West Vista. Watch as many people wait to be served outside 116 Espresso & Wine Bar and hear Cafe Strudel owner Trip Turbyfill explain how the West Vista is blossoming. Gallery West owner Sara Cogswell said she was eating outside at 116 Espresso & Wine Bar when she noticed the available building beside it. Cogswell opened her shop last June and coordinates gallery events when the restaurants are open. Their ability to draw customers from all over the Midlands was a big reason she picked the West Vista.